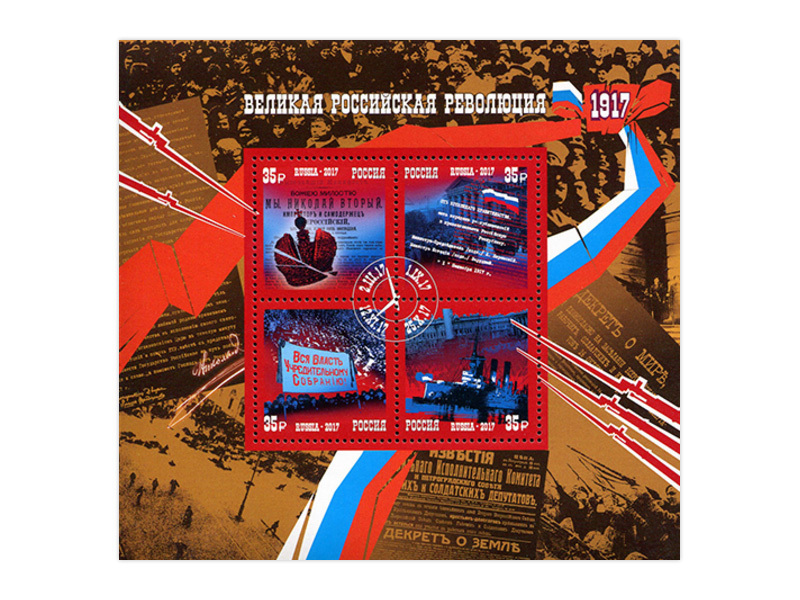 The Great Russian Revolution is a single revolutionary process in 1917, which includes several historical events, such as the February Revolution (which resulted in the overthrow of the monarchy), the establishment of the Russian Provisional Government, proclaiming Russia a republic, the October Revolution and the establishment of the Soviet regime, the convening of the All-Russian Constituent Assembly. The Revolution was the most important event of the 20th century, the starting point in creating the world's first socialist state, an attempt to build a new and just society, which decisively determined the path of historical development of civilization and influenced the destiny of all mankind. 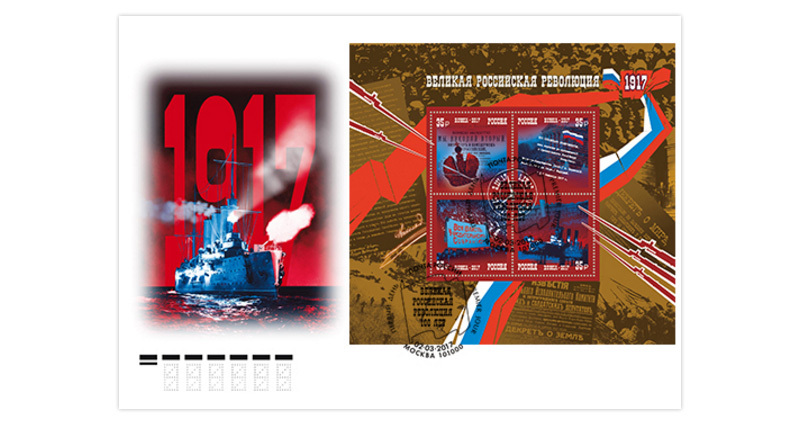 The postage stamps depict the main events of 1917, from the February Revolution and abdication of Emperor Nicholas II to the convening of the Constituent Assembly.